MORE MOET returned to his course and distance hunting ground of last preparation to deliver another convincing victory at Kembla Grange on Saturday. 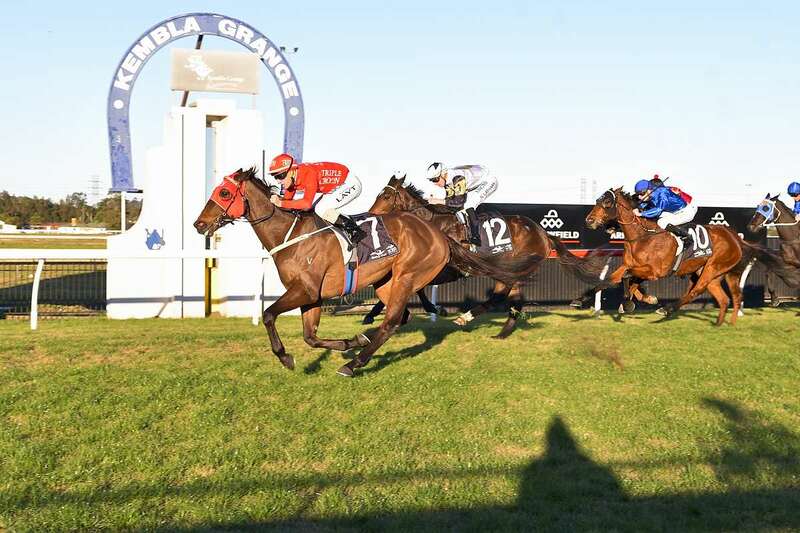 The hints were there on his previous run just a week before at Hawkesbury, where he finished a strong second over 1800m, and the similarly large track of Kembla, coupled with a step up to 2000m, saw a repeat of his devastating success at the course on January 28. The three-year-old settled in midfield for jockey Adrian Layt and, with plenty of work to do, Layt maneuvered More Moet for a clear run on the outside who then went through the gears to draw clear of the field and run right through the line, defeating Kiarra Rose by one and a quarter lengths, with a further 1.5 lengths back to the Godolphin-owned Evanesce. Connections were rewarded for their patience as Peter & Paul Snowden worked the son of More Than Ready up to an optimum trip, which only sought to make the victory sip that much sweeter! “Patience can be a virtue in racing and he’s really starting to show some potential now,” said co-trainer Peter Snowden. “A good win today and he was solid through the line. Triple Crown Syndications saddled nine runners on Saturday in seven races, and in addition to More Moet’s superb victory the team scored a further four runner-up performances, including some mightily unlucky runs. Chavish just failed in catching the leader at Kembla Grange having been caught behind horses for much of the straight, costing him victory, while it was excellent to see Group 2 winner Charlie Boy return in fantastic form after running second at Doomben for new trainer Tony Gollan. Bukzel also returned first up with a runner-up performance at Kembla, and at the same track Island Missile produced a super display on debut to get up for second in the 2YO Maiden Plate.